An award-winning author, wife, mother, grandmother, and the one who cleans pens and delivers the hay, it's no wonder that Paty Jager was the one that stepped in and got Rawhide n' Roses up for sale. Paty and her husband currently ranch 350 acres in central and eastern Oregon when not dashing around visiting their children and grandchildren. She not only writes the western lifestyle, she lives it. 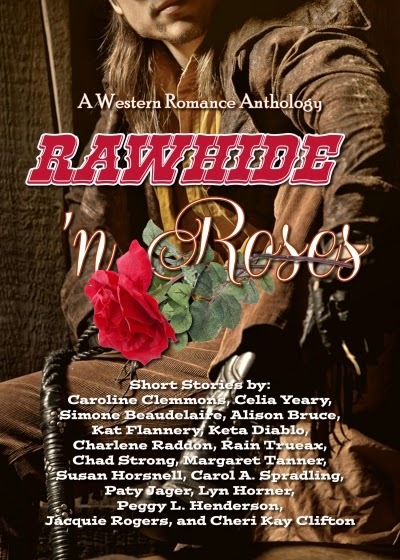 What inspired your short story in Rawhide n' Roses? 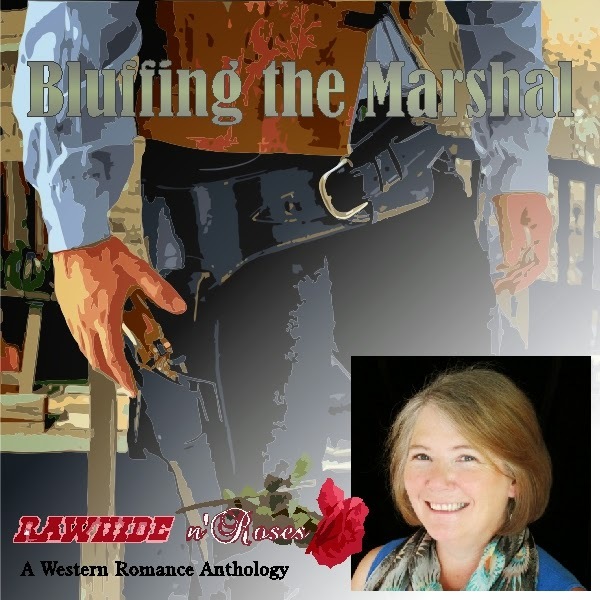 Maggie O., the western romance reader who started the Kindle forum that brought the authors of this anthology together, tosses out word challenges on the forum now and then. We’d just started thinking about putting this anthology together and she gave us five words. While trying to come up with something to write for her challenge, the idea of the full length story came to me. Using the five occupations she gave us, I had my heroine kidnap four of them to bring the marshal to her. I think the most bumps I’ve had to become a published author came in the beginning. Trying to find like-minded writers and ways to learn the craft of writing. I joined RWA (Romance Writers of America) and found what I needed to hone my craft, learn the business of writing, and found wonderful friends and mentors. I’m lucky my husband and family have always been behind me. When readers wanted more books surrounding the Halsey brothers from my Halsey Brothers Series, I had a story I could hop into. The fifth and last book, Logger in Petticoats, ends with the family gathered for Christmas and Darcy, the heroine in the first book, Marshal in Petticoats, is sad her brother Jeremy is in Alaska. 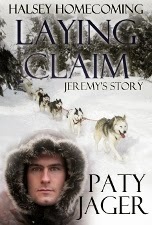 My latest release is Jeremy’s story, Laying Claim, Book One of the Halsey Homecoming trilogy. Jeremy is homesick. He’s made his fortune as a packer during the Yukon Gold Rush and is finishing his last run and heading home. That is until a young woman steps off a ship from Seattle looking for a guide to take her to her brother in the Yukon. She turns the town upside down and makes an enemy of the gang leader and has to leave Skagway in a hurry. Jeremy takes her over the White Pass in the aftermath of a blizzard. Through the hard journey they come to rely on one another and discover that home isn’t always where you think it is. Alison, thank you for having me on your blog. Always fun to visit with you. Always fun having you, Paty. I'm currently listening to the first Halsey Bros book. Can't wait to get to Jeremy's story. Since I'm still new to writing, it has been really great to find such a great group of like-minded writers on Maggie's forum, and to be a part of this anthology. HI Peggy! I'm glad you're enjoying the audio of Marshal in Petticoats. This anthology has been a great mix of writers. Great interview. It must be wonderful living on a ranch, particularly when you write Western romance stories. I am honoured to be one of the authors in an Anthology with such wonderful authors. Hey Jacquie! Thank you! I didn't know where that story was going when I started but it was a lot of fun working at getting all the necessary parts into the short amount of words. As I said above, I still need to read the anthology. Too many things to do and so little "me" time. Hi Margaret! Thanks! I enjoy the ranch life and I do think it helps be with the western writing I do. I'm reading your novel, Fiery Possession, right now. Wow, you write dynamic characters! bowing head, I haven't read all the anthology stories yet. I'll get to them soon.